After years of struggling to come up with fun, entertaining, and innovative gifts I started sourcing great gift ideas from Shark Tank. A couple years ago my family discovered how much fun we could have watching Shark Tank together. We were holed up in a hotel room recovering from a long, rainy day driving ‘over the river and through the woods’ on the way to our Thanksgiving destination. I grabbed the remote looking for a distraction and a Shark Tank rerun started. The whole family (age seven on up) was rapt as we evaluated the products, the pitches, and the decisions made by the Sharks. Then we started Googling to see what had become of the products and services featured on the show. So many ideas had us thinking “Wow, I should have thought of that.” Later, as I started trying to come up with ideas to stuff into stockings, place under Christmas trees, and of course for the dreaded Secret Santa office gift exchange I started thinking about all the great ‘I wish I had thought of that’ ideas we’ve seen on Shark Tank. That’s where my Shark Tank gift ideas list started. We’ve become regular Shark Tank watchers and I’ve been adding new ideas to my list ever since. Below is a roundup of the greatest hits from my Shark Tank gift list. See life through the eye’s of Santa’s very own reindeer, as an Elf, or even as Santa himself! 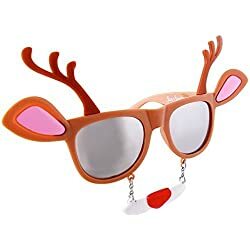 These sunglasses transform you into the star of the show, whether it’s a themed party and pop culture costume or your favorite character. 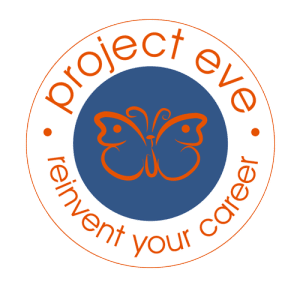 As seen on Shark Tank, these sunglasses are comfortable and perfect for adults and children all of all ages. They transformed my shy nephew into the life of the party, I love having them around for the periodic dress up days at school and camp. 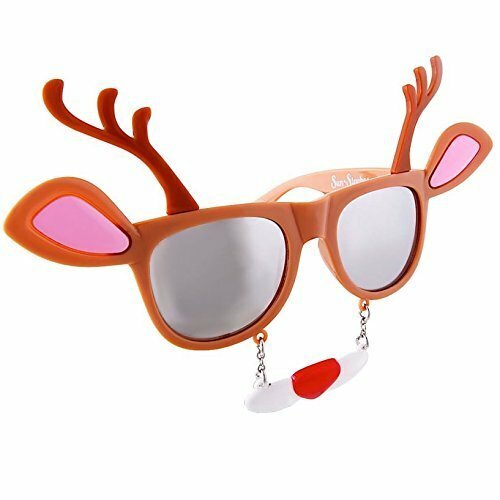 With so many fun themes to select from they make regular appearances as stocking stuffers year in and year out. The first time we gave the IllumiBowl it basically as a joke. My brother had walked into a wall in the dark leaving the bathroom so this seemed like the perfect way to tease him. IllumiBowl is a motion-activated night light for your toilet. It fits on the rim of any toilet & turns itself on & illuminates the inner bowl any time you walk into the bathroom at night. No more blinding midnight lights; stumbling around in the dark; falling in the toilet. He and his girlfriend LOVED it. Ever since its one of my go to gifts for White Elephant parties. 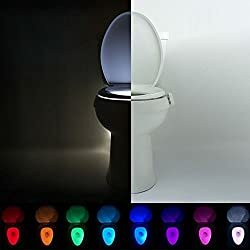 Toilet night light: IllumibowlTM will illuminate the inner bowl of the toilet and provide a soft glow any time you walk into your bathroom in the dark. Satisfaction 100% guaranteed. Functional & Convenient: No more blinding midnight lights, stumbling around or trying to aim in the dark causing an unpleasant mess. The IllumibowlTM is also an ideal tool for potty training. Here’s why you need Phonesoap 3.0: All the germs you touch you transfer to our phone. While you wash our hands regularly, you almost never wash your phone. On average, a cell phone is 18x dirtier than a public restroom. 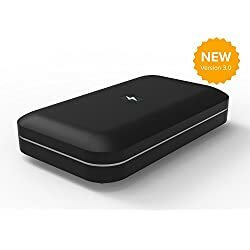 Phonesoap is proud to be the first and only cell phone charger that disinfects your phone while also charging your phone. Now you can augment your daily charge with a sanitizing process. 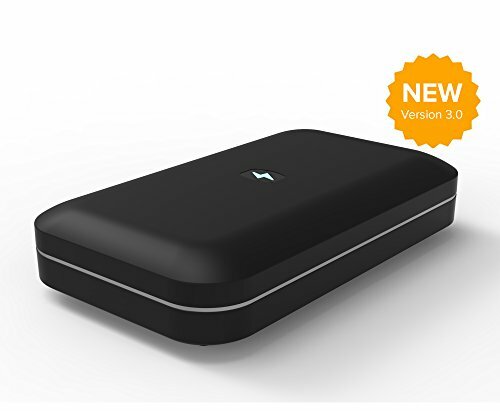 With Phonesoap, a charged phone is a cleaned phone. When you close the lid on your Phonesoap, the uv lights start automatically and run for roughly 10 minutes. It drives me insane that our luggage basically takes up a whole closet in our home. 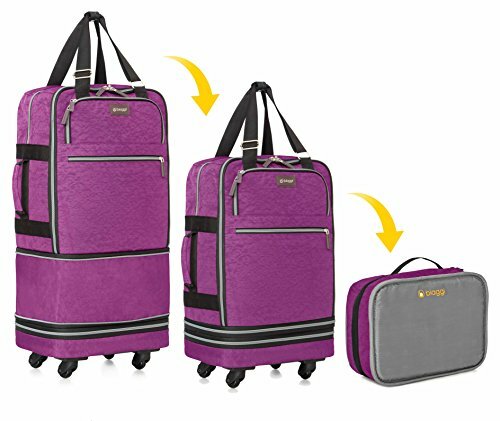 Biaggi’s patentented bags amazingly transform from an easy to store small pouch into a full sized upright. When folded, the Zipsak can be stored in a drawer, on a shelf, or under a bed, so your luggage won’t use up valuable space in your home. We are gradually transitioning over to these bags as our others die and getting precious storage space back. Two bags in one! 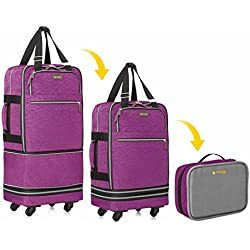 22" Carry-on expands into a full 28" suitcase! GoodHangups for Kids Art turns your wall into a magnet board and is perfect for hanging Kids Art, Prints, Photos, Cards, and much more. They are removable and reusable and won’t ever leave any reside. No Holes. No Hooks, No Harm! One of our favorite go to Secret Santa and Stocking Stuffer gifts. DAMAGE-FREE MAGNETIC HANGING SYSTEM: Patent-pending GoodHangups adhere to walls and surfaces without damaging paint, creating holes, or leaving residue. 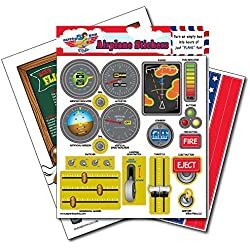 Each pack contains 16 magnets and 16 magnet-receptive stickers. KID-FRIENDLY STYLING: Rounded edges make these ¾ inch button magnets easy to use for hanging kids' artwork. Bright colors add a pop of fun to your family kitchen, child's bedroom, or play area. 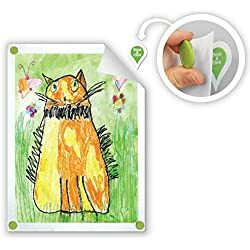 PRESERVE YOUR CHILD'S MASTERPIECES: Never worry about damaging your child's one-of-a-kind drawings when you display artwork with this unique hanging system. Create an at-home art gallery that's all your own. AFFORDABLE, REUSABLE, INDREDIBLE: Repeatedly use these magnet stickers on wood, brick, textured walls, metal, and other surfaces. Instantly transform your child's walls, locker & more. There's nothing else like them! 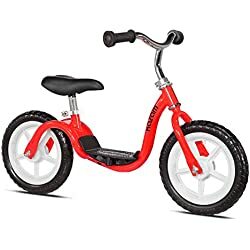 We’re not sure how we ever learned to ride a bike back in the day without one of these but it after messing around with training wheels and getting no place this balance bike did the trick! 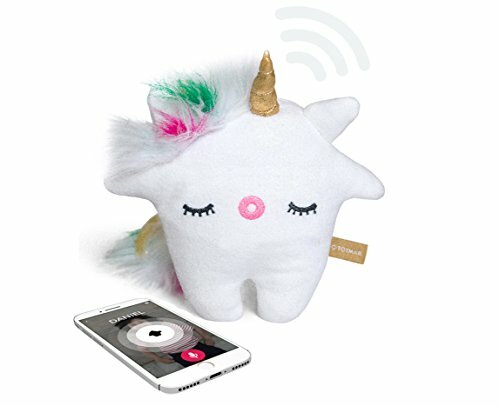 Talkies by Toymail are the only safe and screen-free device for kids to voice chat with friends and family. No need to give your child a phone, as with just a push of a button, kids can connect to Mom, Dad, Grandparents and friends at any time, from anywhere. 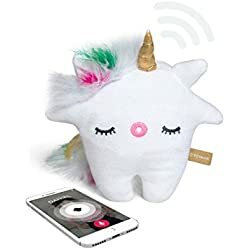 Parents use the Toymail app to send messages. Approve your child’s trusted circle through the Toymail app. Talk to your kids, without giving them a phone. 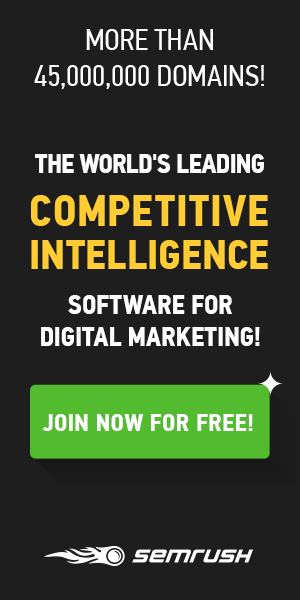 You use your app, they use a plush toy. Send and receive messages using the easy-to-use Toymail app. Create your Trusted Circle to stay in touch with parents, grandparents and friends. 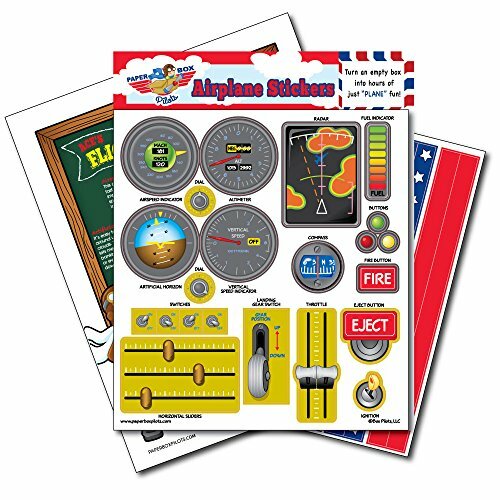 These stickers transform any ordinary box into an airplane, race car and fire engine. Turns all those boxes Santa’s gifts arrived in into a toy! 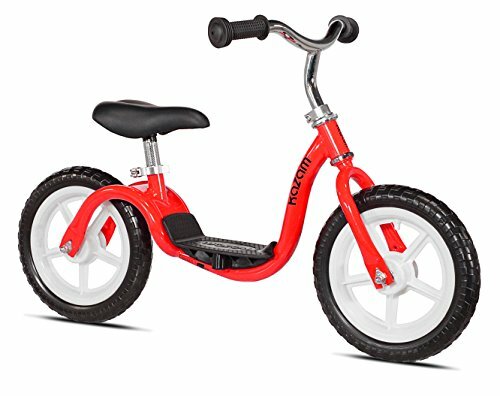 We stock up on these to have on hand for birthday parties throughout the year. A "TOP SECRET PLANS" DIY tutorial to help easily make the coolest looking Jet Aircraft around! Perfect for starting a fire while backpacking, snowmobiling, hiking, camping, or grilling on a windy day. These handy packets can start up to 4 fires each. Easy to carry anywhere. BURNS ANYWHERE Naturally insulated to burn directly on top of water, sleet, snow, ice or anywhere else. Once lit, will sustain winds up to 30 mph and burns up to 1000 degrees Fahrenheit. 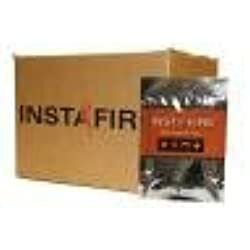 Long burn time, 25 minutes per pouch. 3 pack starts 12 fires. 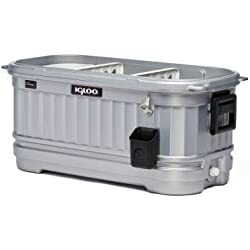 This cooler is perfect for tailgating and backyard parties as day turns into night featuring our exclusive LiddUp LED light system that illuminates the cooler’s contents. When darkness falls thirsty guests can still find what they want quickly. 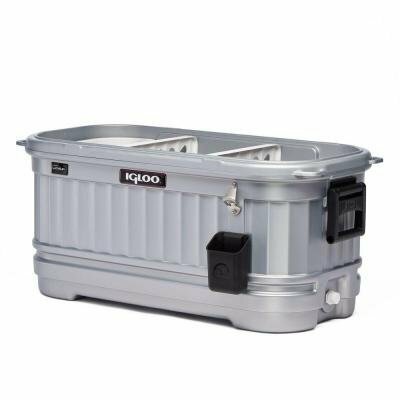 With aesthetics that channel outdoor beer chests of a traditional Texas ice-house, this cooler anticipates your every merry-making need, from a removable lid and drink dividers to mobile-ready locking casters on a detachable base. 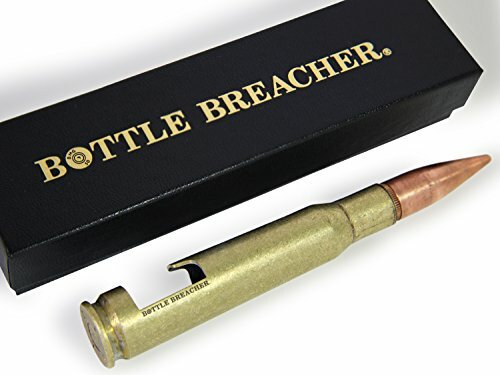 These bottle openers made from .50-cal bullets are a great gift for any ammo-loving beer drinker. 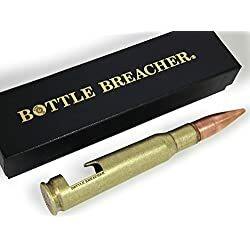 Bottle Breacher is proud to be Veteran Owned and Operated and Made in the USA company! They give back to active duty military and veteran non-profits such as the Chris Kyle Memorial Benefit, Wishes for Warriors, Joggin’ For Frogmen, Eagle Fund and more. GIVING BACK: Your SUPPORT through purchasing Bottle Breacher allows us to GIVE BACK to Active Duty and Veteran NON-PROFIT organizations. Some of the organizations we SUPPORT are Wishes for Warriors, Eagle Fund, Chris Kyle Memorial Benefit and Joggin' for Frogman. 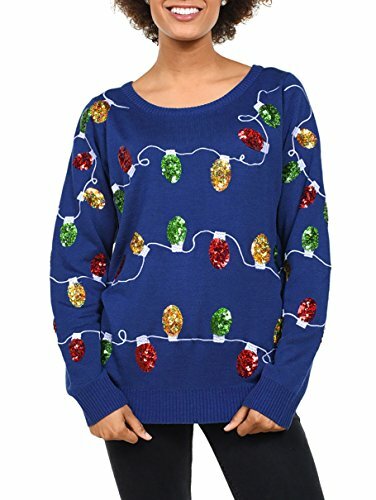 If you need an ugly Christmas sweater look no further than the Tipsy Elves! They have them for all ages and taste levels. The one that includes a functional bottle opener still gets raves from its recipient! 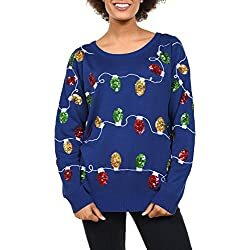 What Shark Tank Gift Ideas Have we missed? Let us know so we can try them out! Paper box pilots are a great idea! !